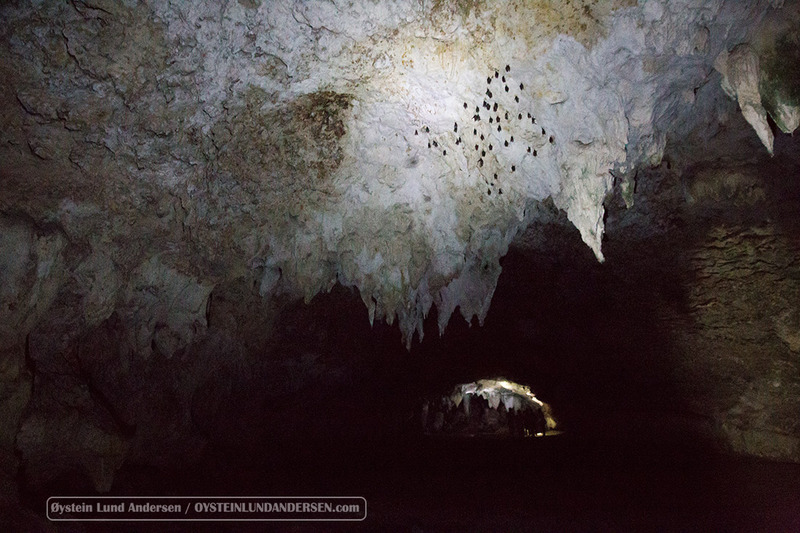 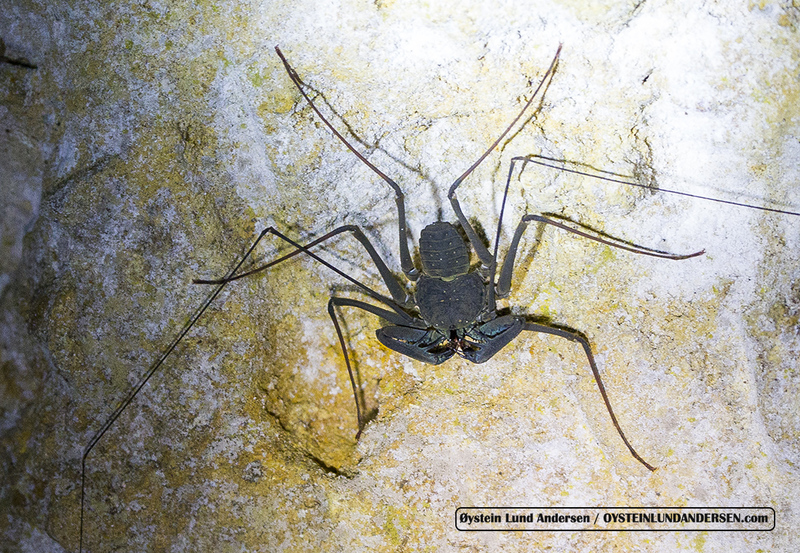 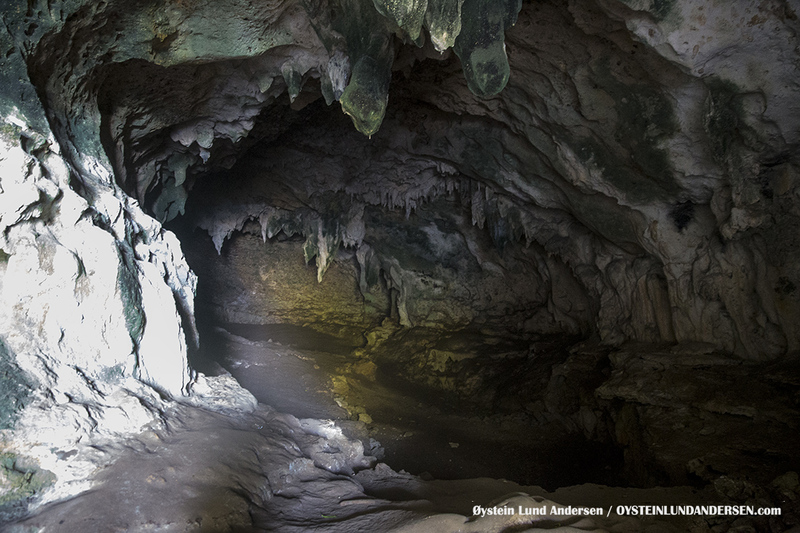 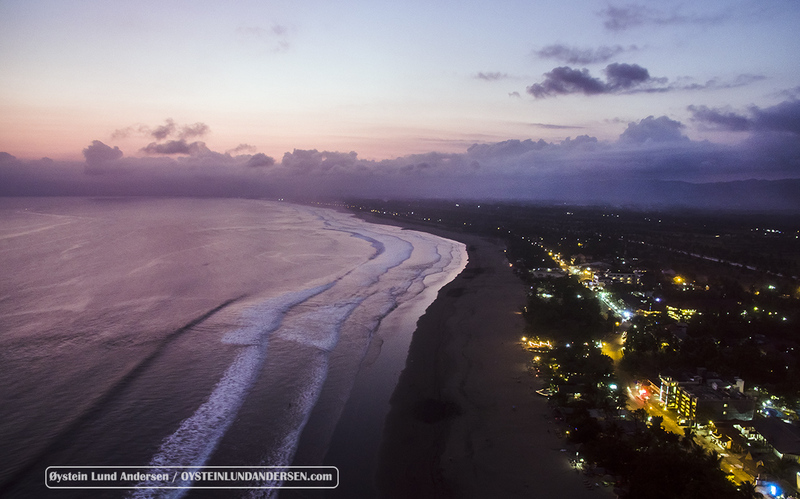 Pangandaran is a town and district located on the southern coast of the island of Java. 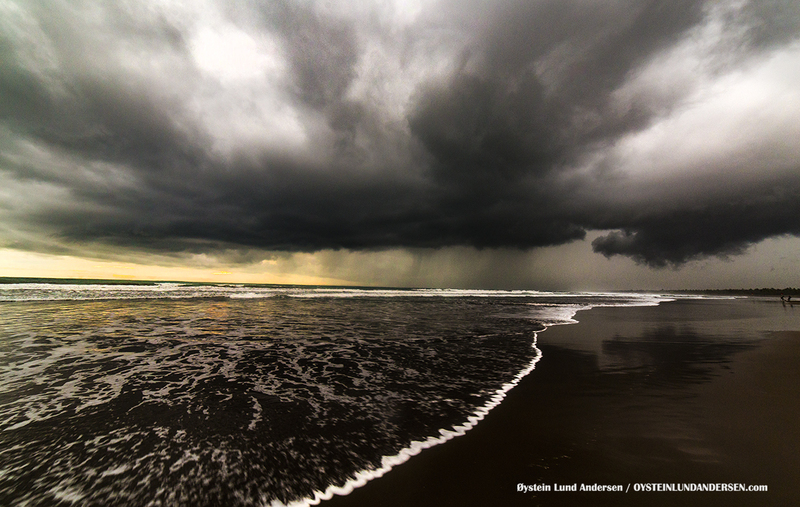 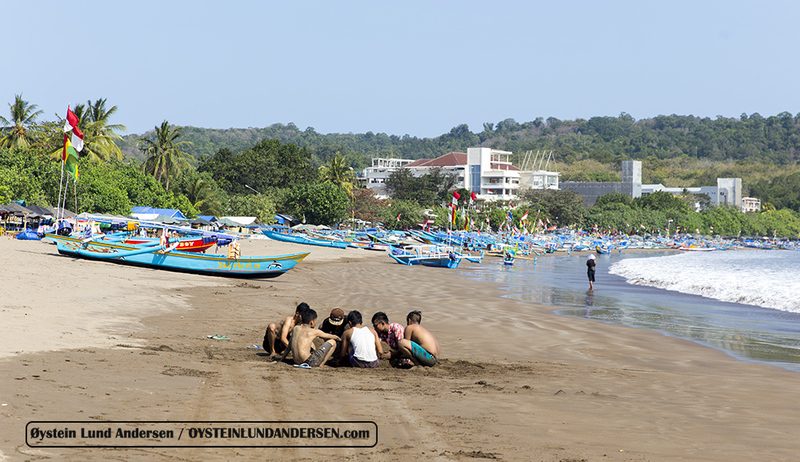 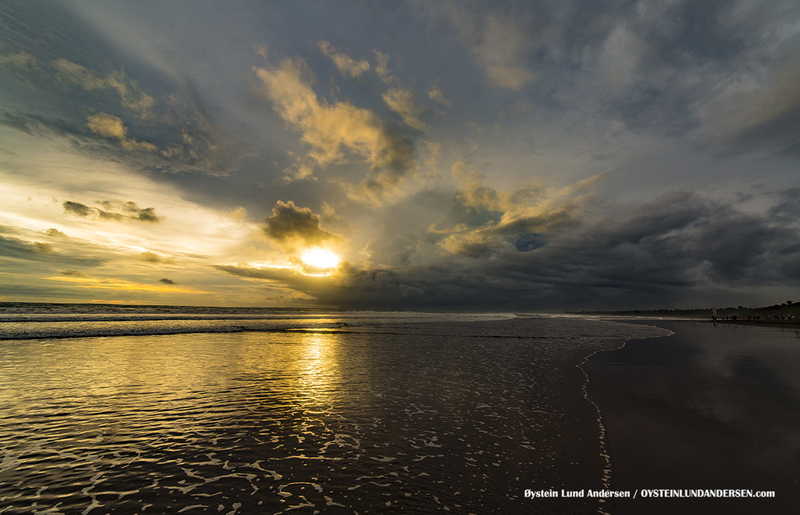 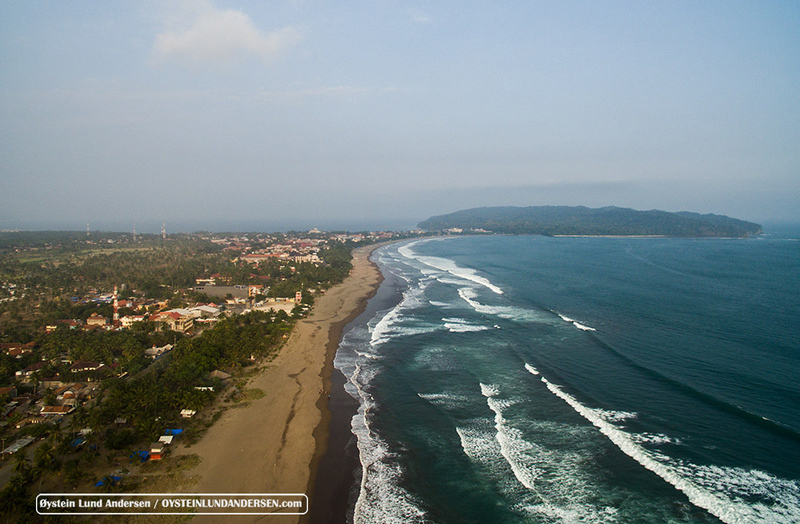 Pangandaran is a popular tourist destination based around its well-known surfing beach. 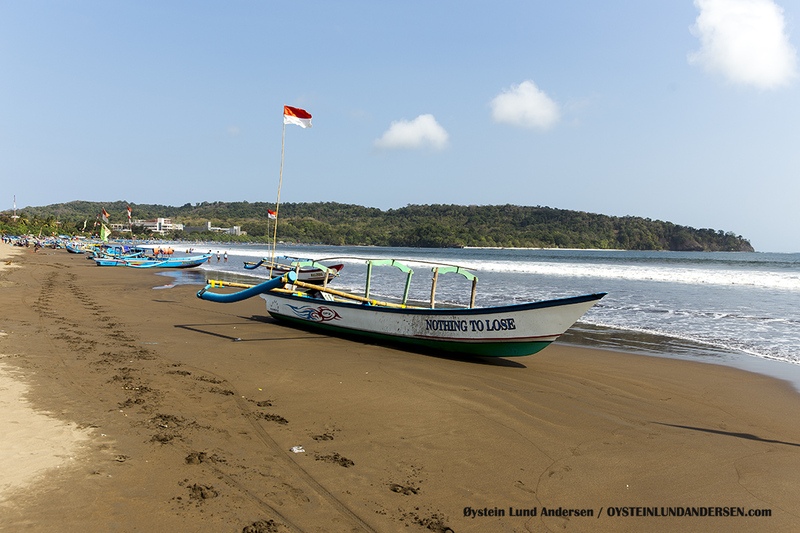 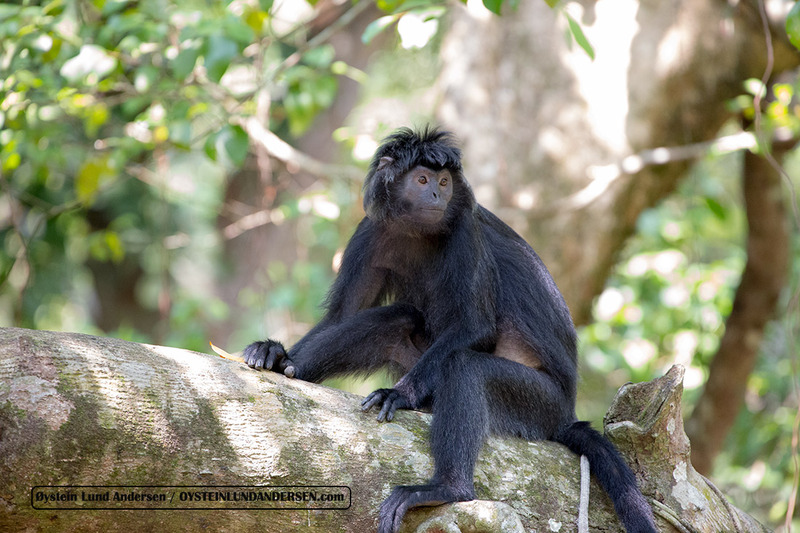 On either side to the east and to the west of Pangandaran village and the Pananjung Pangandaran Nature Reserve are beaches of volcanic black sand. 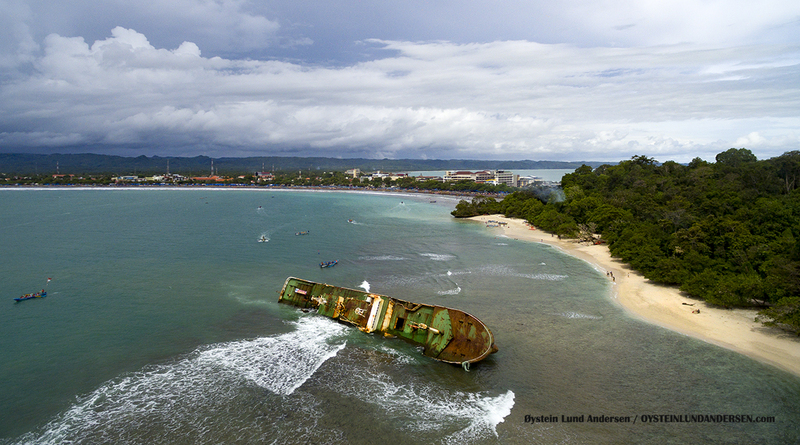 Pangandaran with the newly capsized Mv. 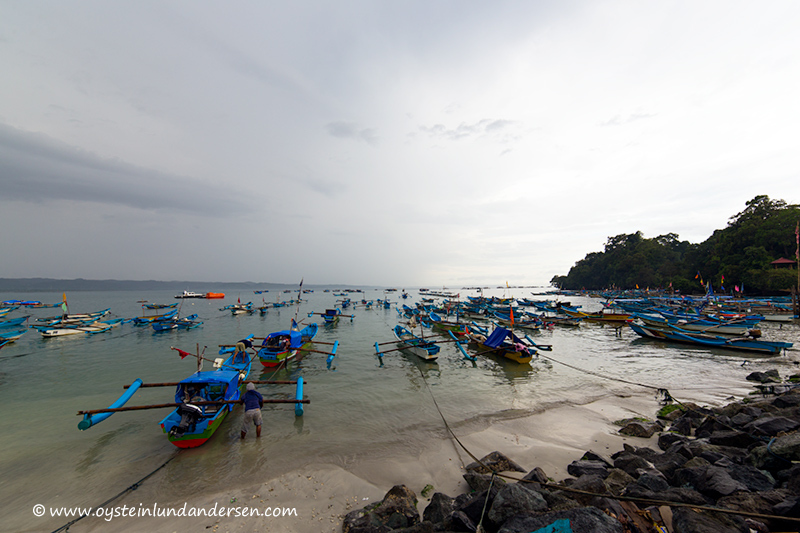 Viking ship to the left in the photo. 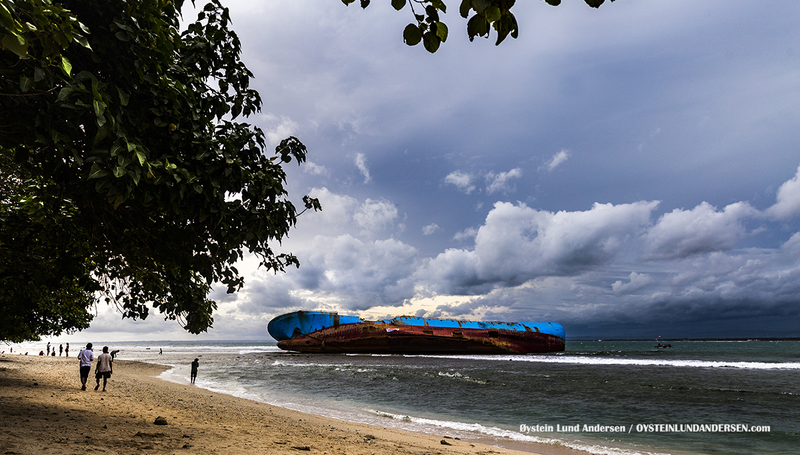 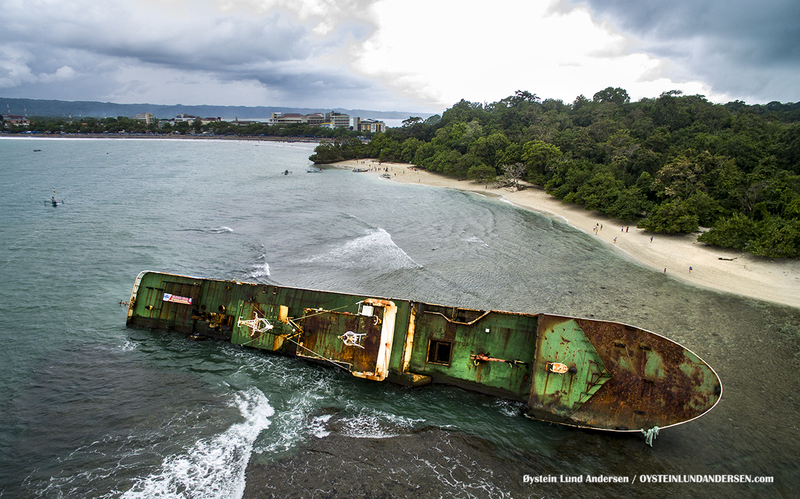 The ship was sunk at this spot in March 2016, by Indonesian Authorities. 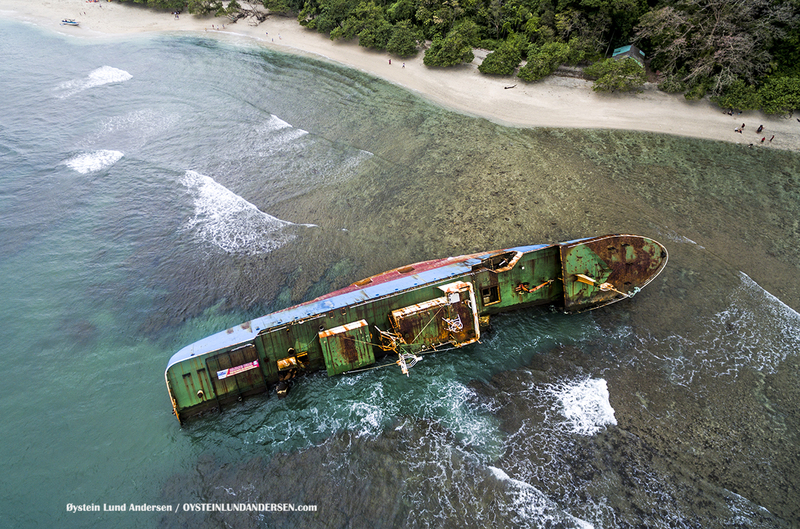 Authorities seized the fishing vessel earlier in the year for illegal fishing activities. 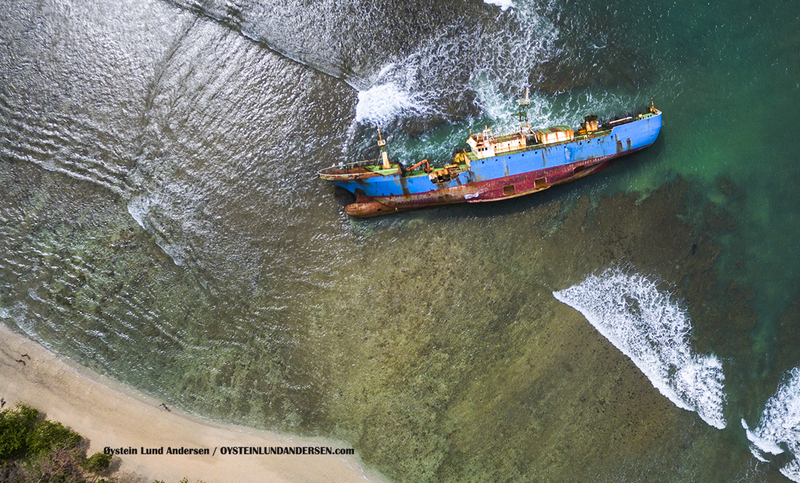 Viking, resting on the coral-reef. 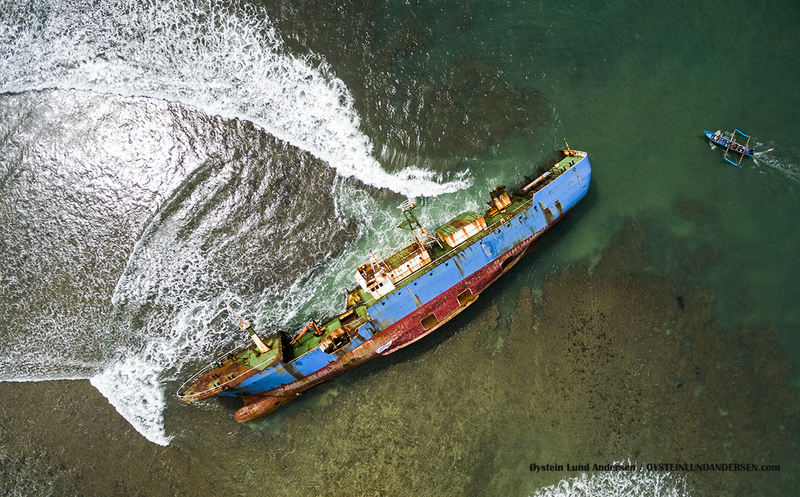 The ship have caused significant damage on the coral reef, as you may notice that under the ship, most of the coral reef is gone. 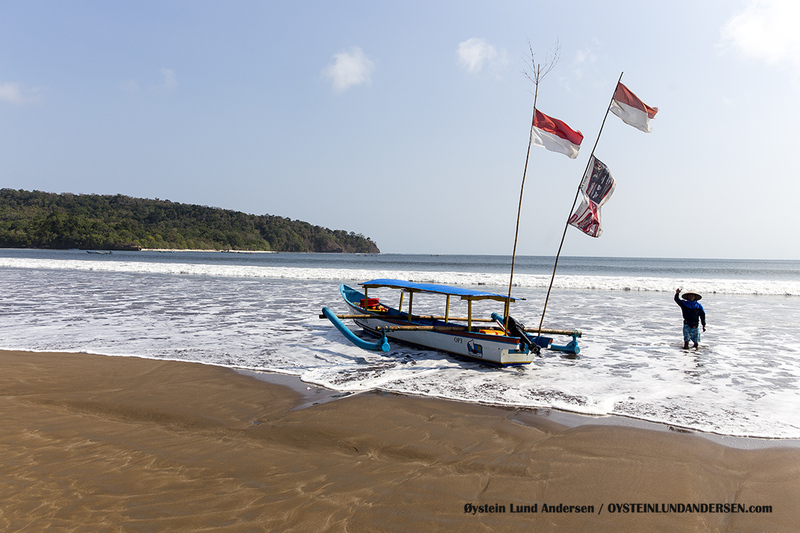 The beach the ship rests on is a part of a national-park. 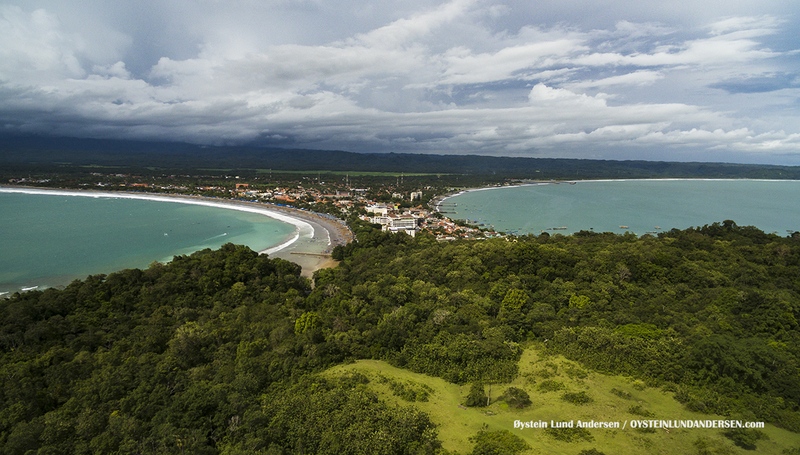 The national park seen from a distance. 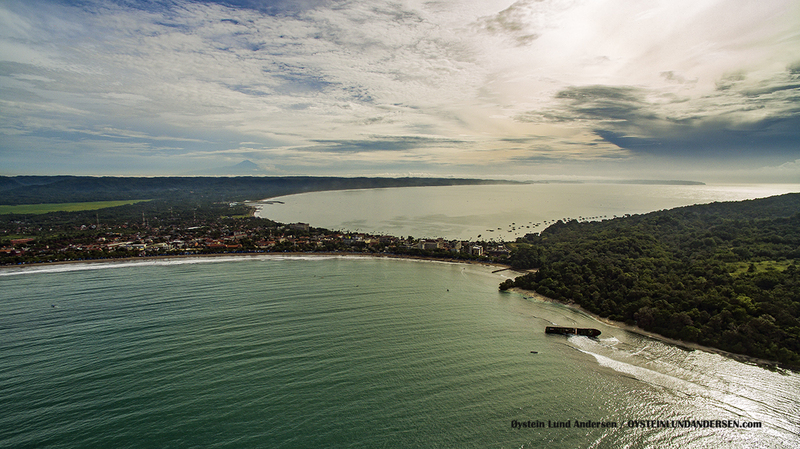 Pangandaran, West-Java, with Slamet Volcano seen far in background, located in Central-Java. 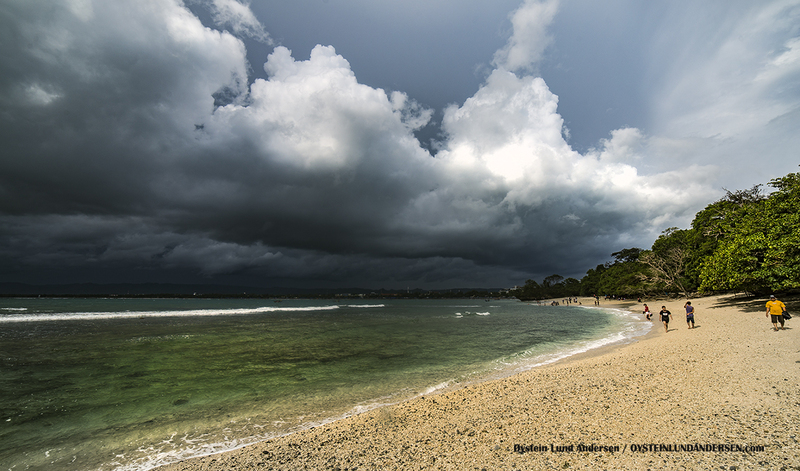 Thunderstorm rolling in during the afternoon. 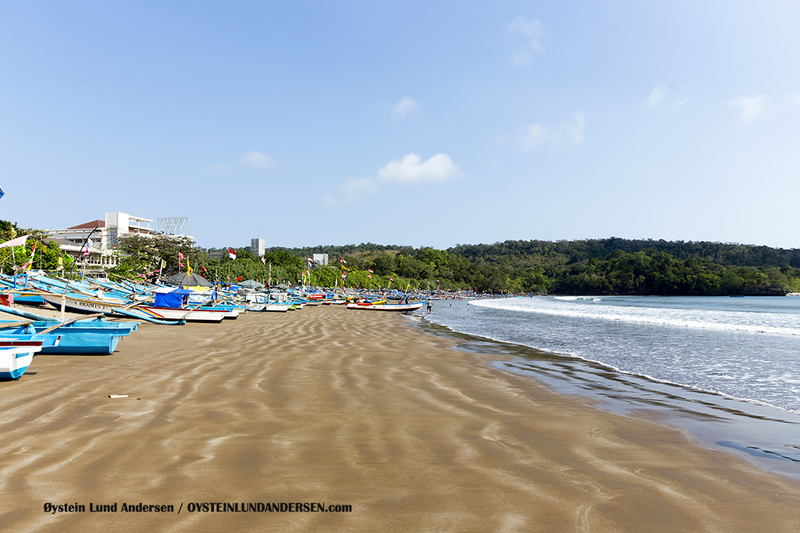 Clear skies at Pangandaran beach. 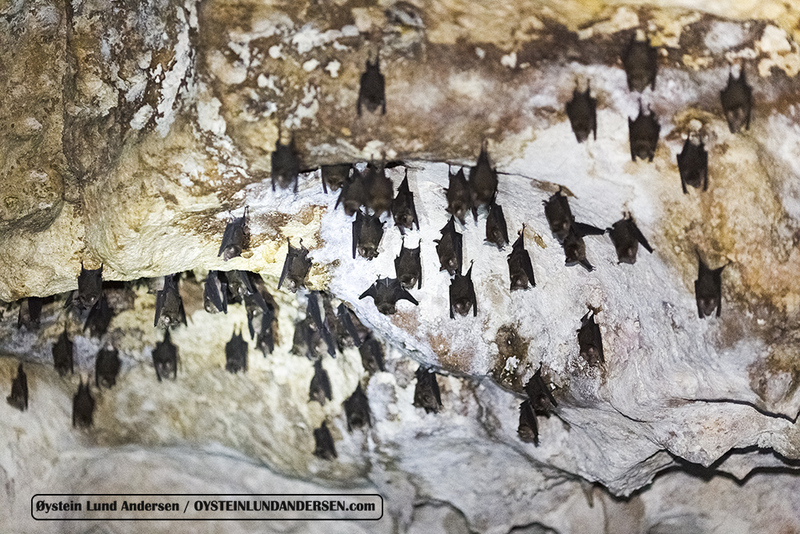 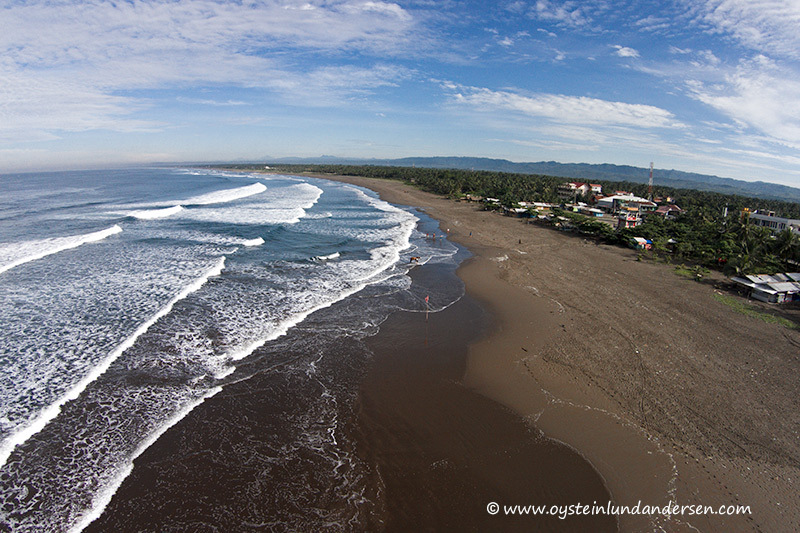 Low season, and few people around. 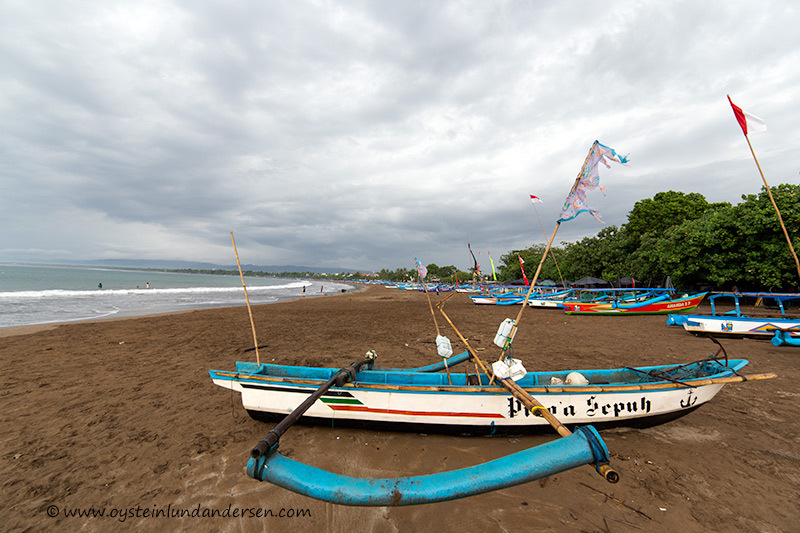 Traditional boat at the beach. 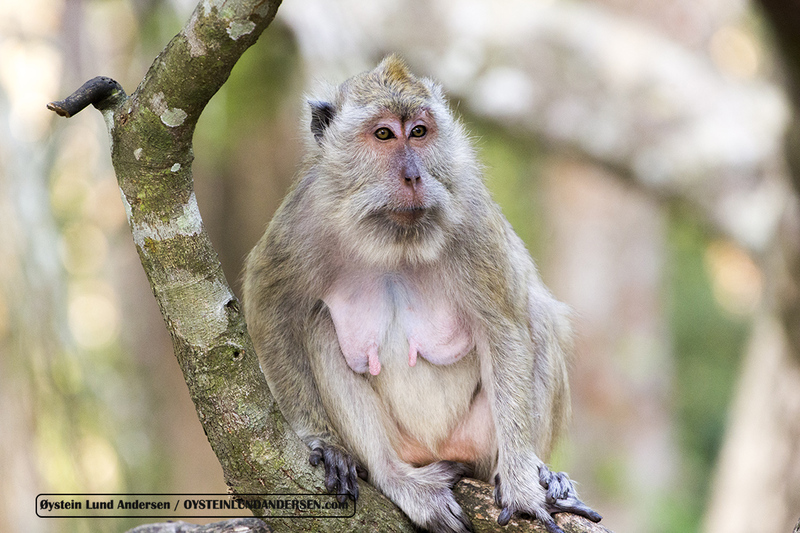 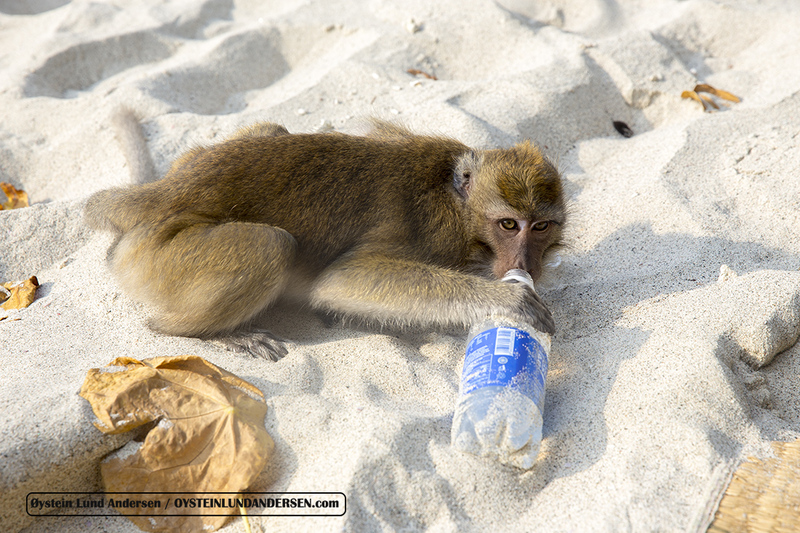 Macaque monkey that have succeeded in stealing my drink, and subsequently drinking it..
One of the many limestone caves in Pangandaran national park. 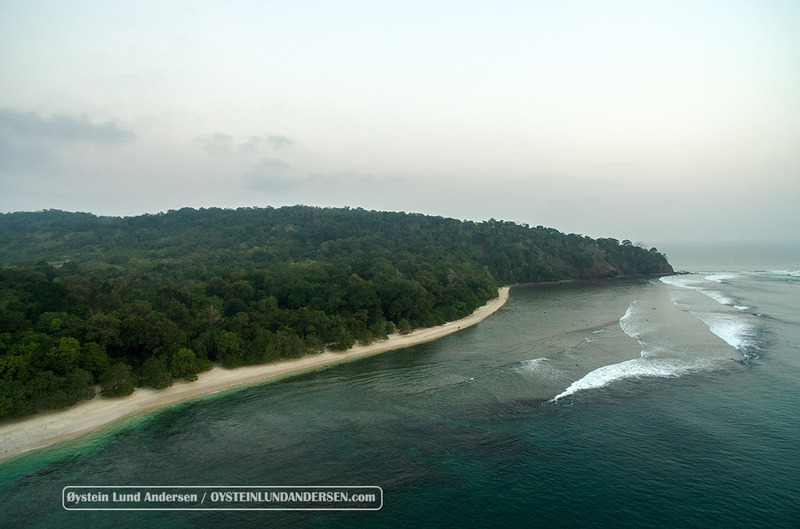 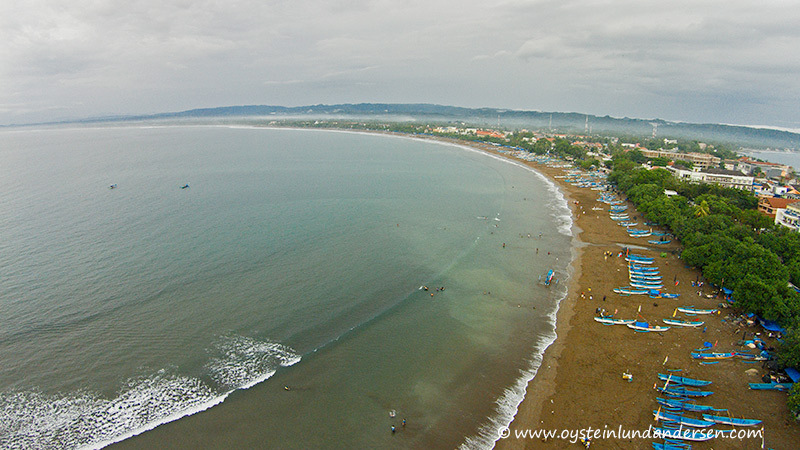 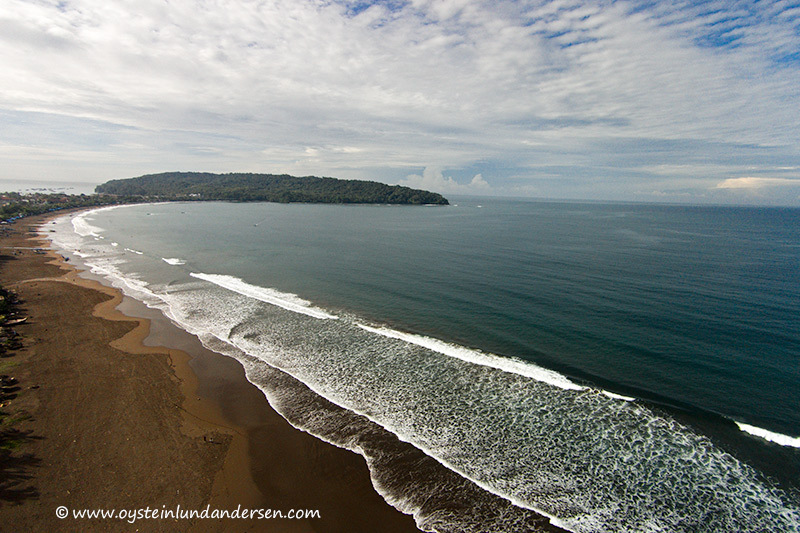 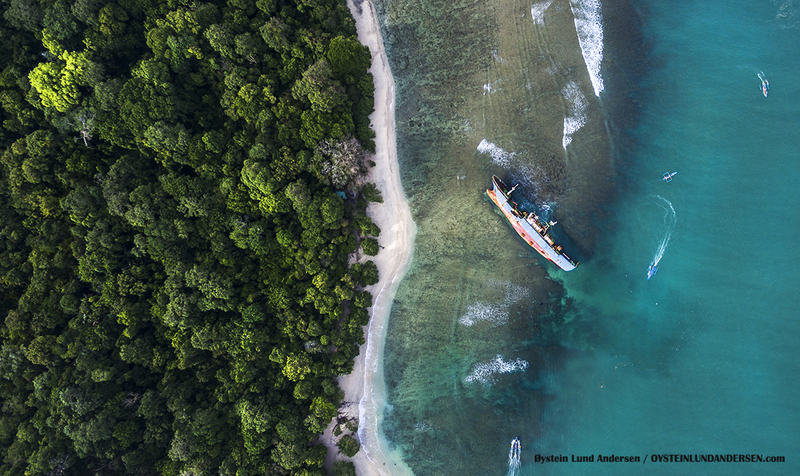 Aerial view of the West beach in Pangandaran. 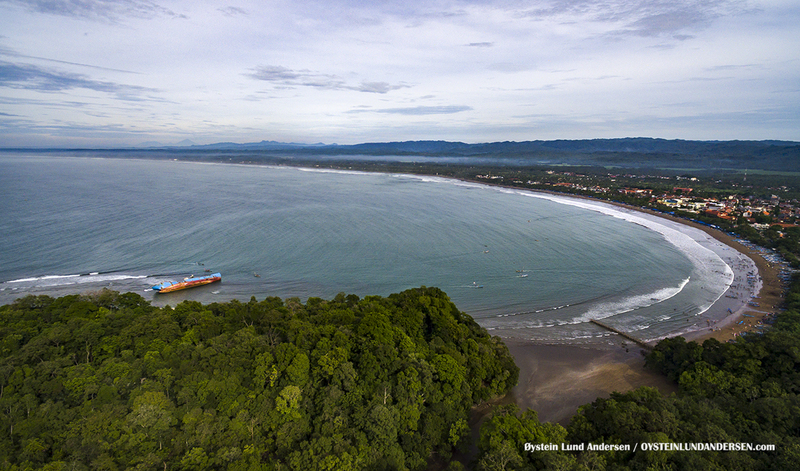 Western beach with the Pananjung Pangandaran Nature Reserve. 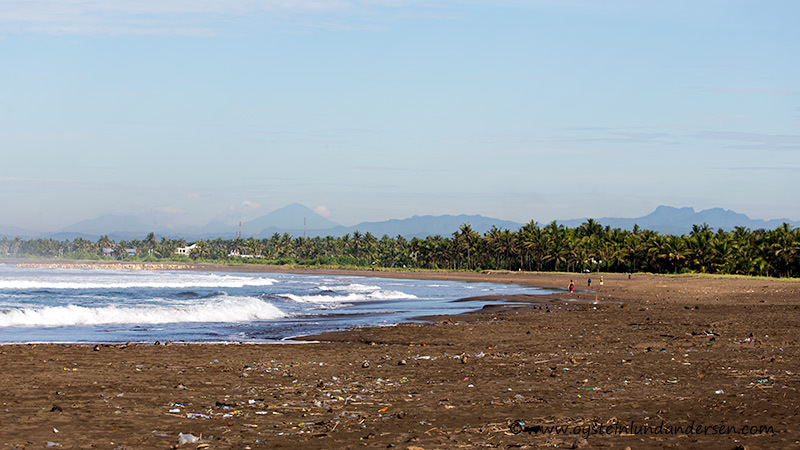 West beach with the extinct Cikuray volcano, located in the Garut regency, in the left background. 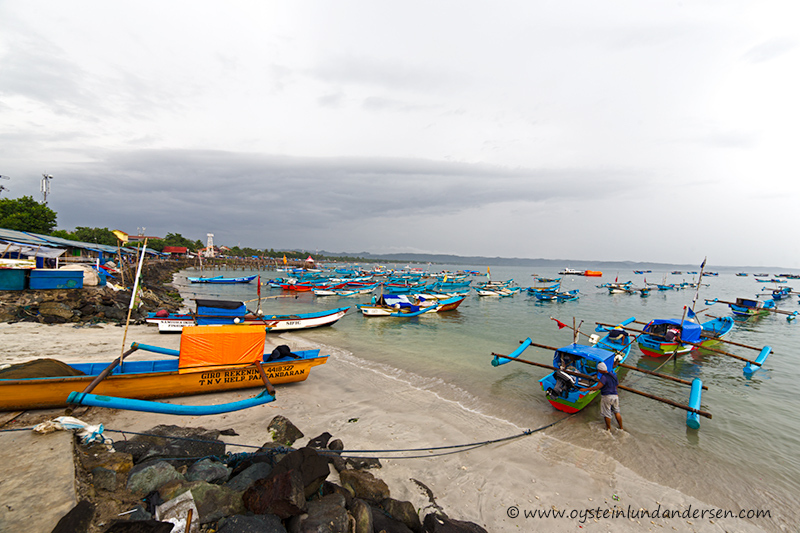 Traditional fishing boats on the beach. 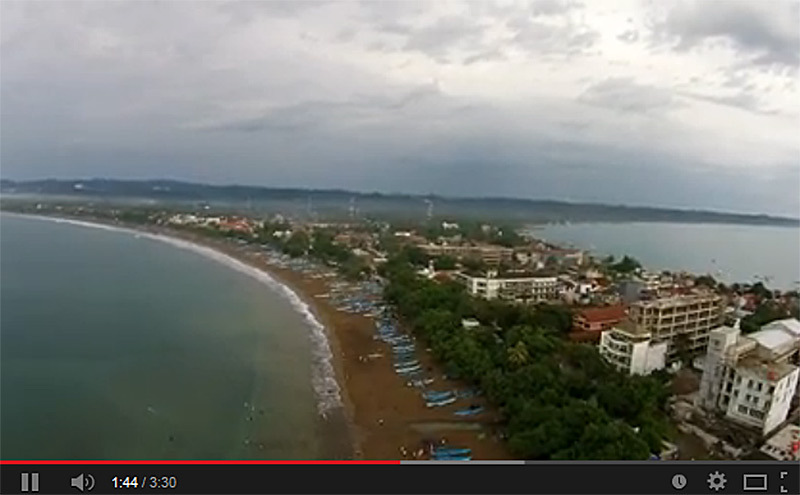 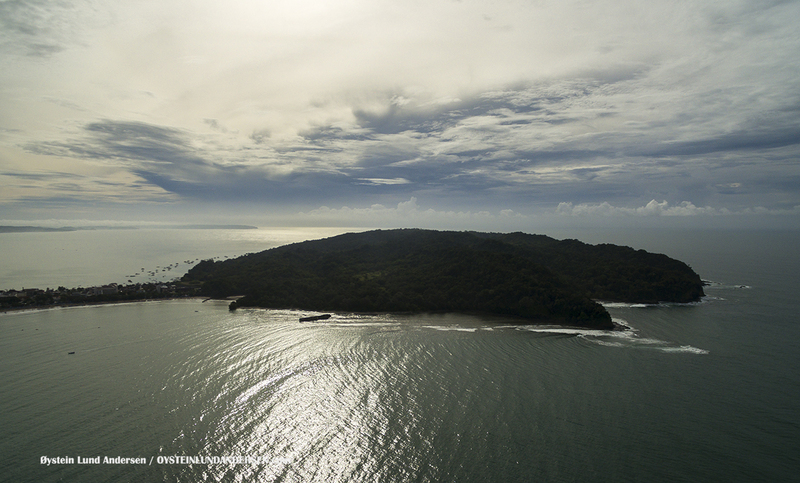 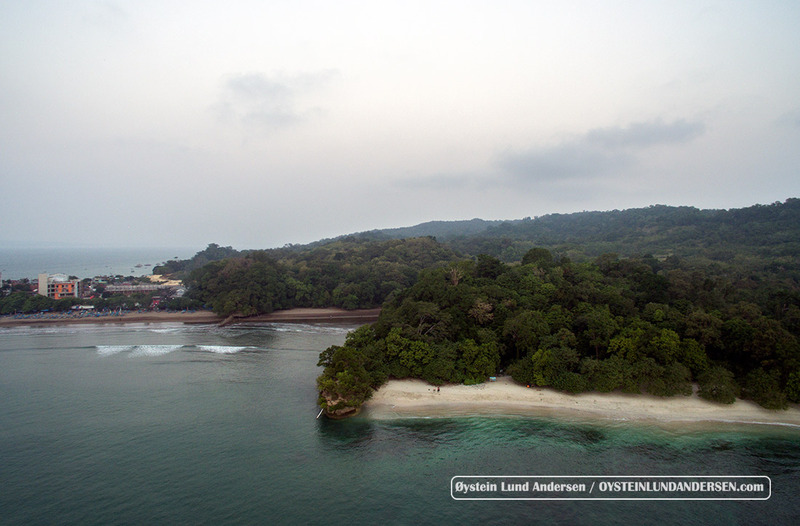 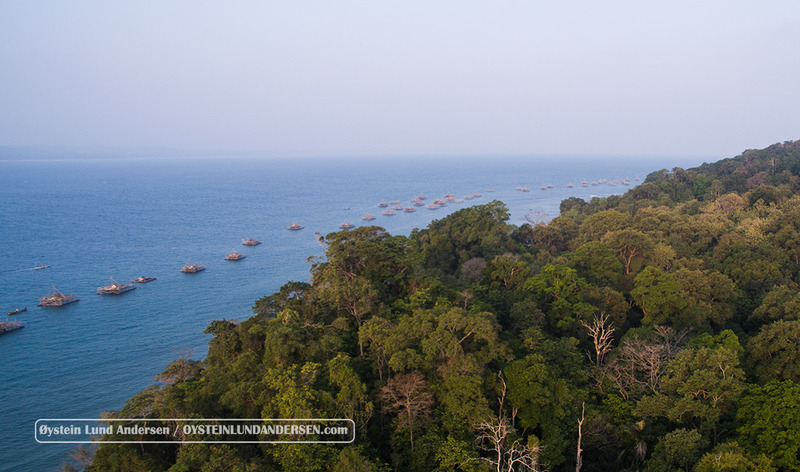 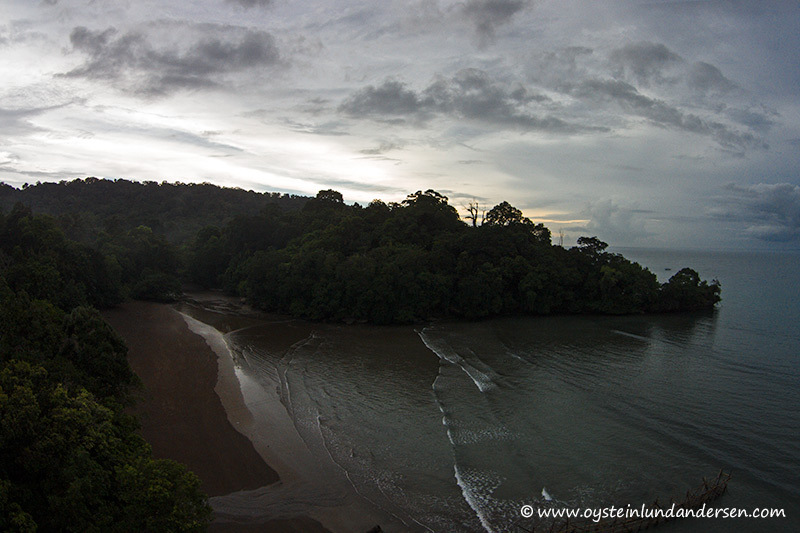 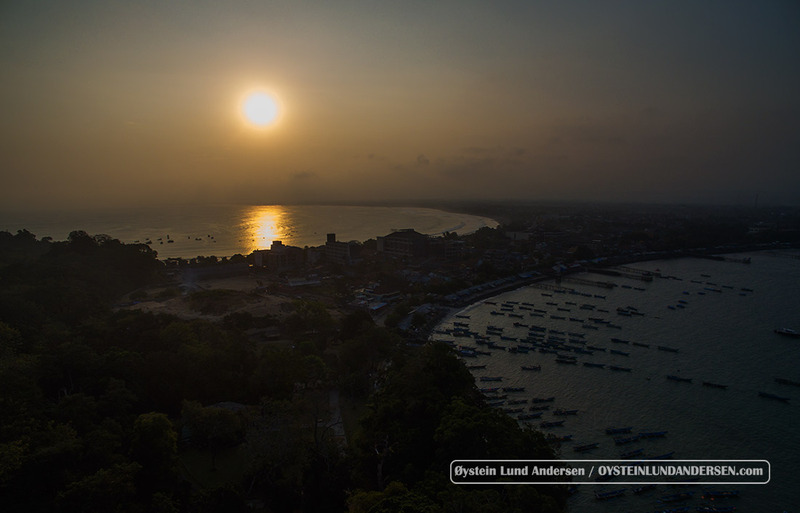 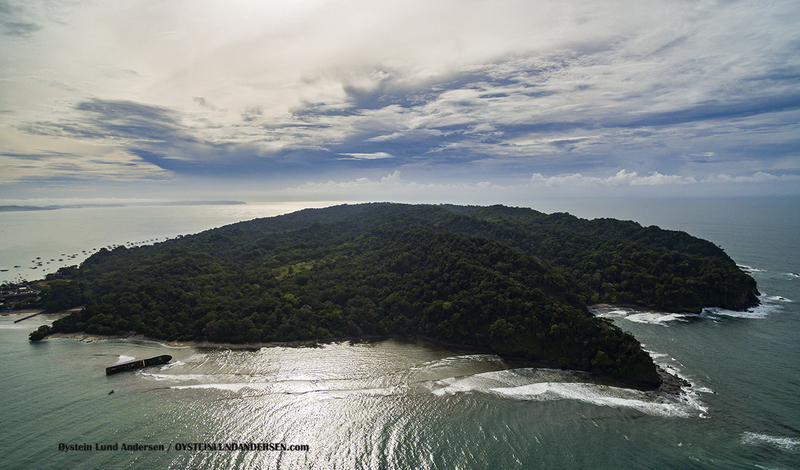 Aerial video of Pangandaran, made with a quadcopter with an onboard camera.